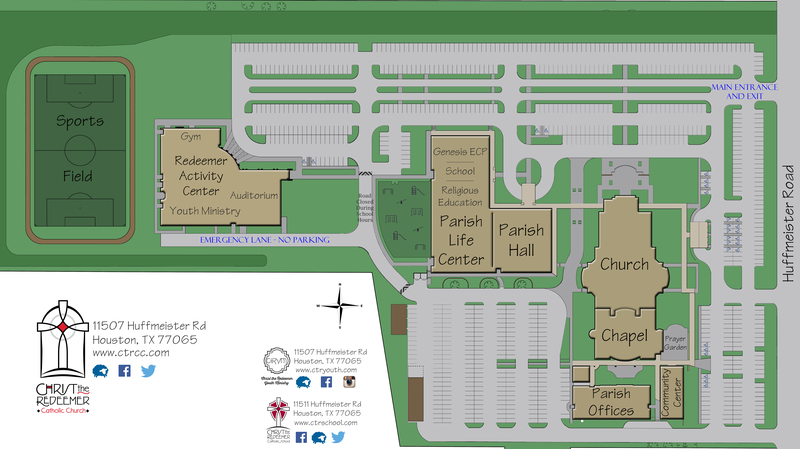 All of our programs will meet in the new Redeemer Activity Center (the RAC). Rise and Encounter will finish in the Education Building (PLC). The traffic flow has changed from last year! If you would like to park and have your child come to you, please park in the back parking lot. Please review the map below for access since it has changed from last year. If you prefer to remain in your car, please follow the "Pick-Up Line" path. Please review the map below since it has changed from last year. Click on either map for a PDF version.